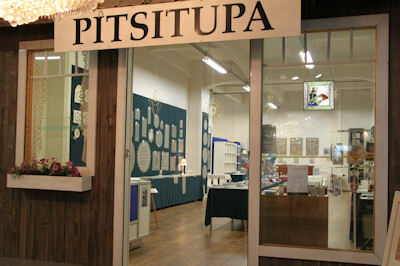 Heinämaan Pitsinkutojat ry is founded in 1959. The purpose of the association is to be a link between lace enthusiasts as well as to develop and maintain lace making tradition, which has lived at Heinämaa nearly 250 years. The association also aims to transfer the lace making tradition to future generations. Heinämaa lace is well known domestically and internationally, and there´s a great demand for the lace models. The Lace Days of Heinämaa (Heinämaan Pitsipäivät) brings every summer many lace enthusiasts to Heinämaa from Finland and sometimes abroad. The projects of the association include recording the history and models of lace making in Heinämaa. As a result, a book “Heinämaan Pitsiprinsessat” (The lace princesses of Heinämaa) has been written and a model portfolio has been collected. They present laces and lacemakers as well as Heinämaa´s lace tradition. Model portfolio collection includes Heinämaa lace, one hundred lace cloths and their models. What’s more, the portfolios include lacemaker’s information and photo of the maker. The designer is also mentioned, if (s)he is known. The association has currently about 100 members.